£2.49 each from open stock at the Pastel Society Annual Exhibition! I've been building up my stock of Luminance Coloured Pencils slowly - because they are expensive. I love their intense pigmentation, the way they go down and the degree of coverage I can get without effort. However most of all I love the fact they are the only accredited lightfast coloured pencil range on the market - as in "meets the International 6901 Standard". 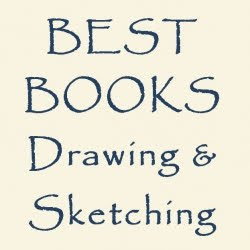 For me, if you're producing coloured pencil artwork for sale you must use lightfast pencils which will not fade - guaranteed! If I have to choose, I prefer a pencil which meets an accredited technical quality standard on lightfastness rather than one where I have to rely on the quality assurance of the manufacturer. I see my preference reflected in the way other media has changed in recent years - and so it will come to pass it will happen to coloured pencils too - in time. So when I see pencils for sale at a much reduced cost (£2.49 per pencil ) I stand in front of the display stand and work out how many I can buy without making my eyes water. Turns out on Monday night it was rather a lot - see the pic at the top. These are very much "me" colours - i.e. the colour palette I like to work with so my new collection both provides back-up pencils and some new colours I've not worked with before. I may just have to go back and get some more - that's if you don't beat me and get there first! 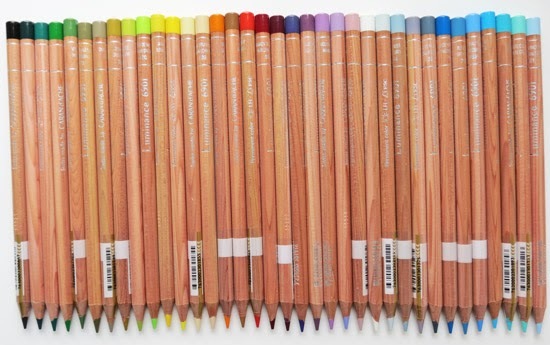 For more about the different brands of Coloured Pencils see my website Coloured Pencils - Resources for Artists. Note: Caran d'Ache are sponsoring the Pastel Society Annual Exhibition - hence the display stand of coloured pencils and pastel pencils etc in the Mall Galleries. 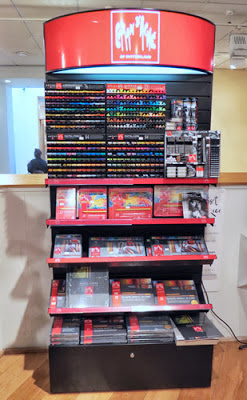 It also has other Caran d'Ache products and Luminance 6901 pencils in tins. Comparative prices for Luminance pencils bought as individual pencils from open stock are listed below together with indications as to postage costs for pencils bought online. Recommended retail price: £2.99 or £3.10 Depends on who is quoting it! Note: The Mall Galleries price only applies for the duration of the Pastel Society Annual Exhibition which ends on 22 June. Caran d'Ache are the 2013 Sponsors of the Pastel Society Exhibition. IKEA Hemnes Bookcases do not sag! This is an update on my previous posts about the introduction of IKEA Hemnes Bookcases into my home last May. 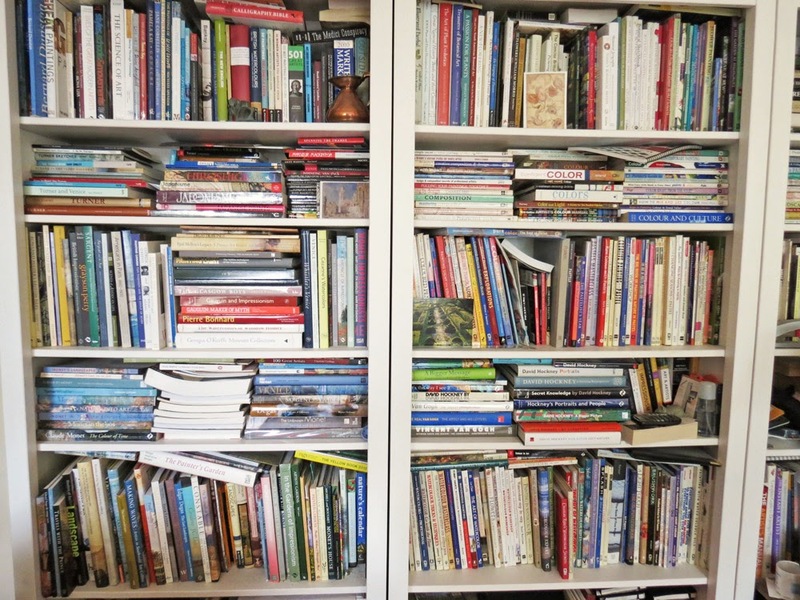 Reviews: Hemnes Bookcases - after the carpentry! - This shows you what three look like together and screwed to the wall to avoid them toppling. One year on I continue to highly recommend these bookcases. They are the most satisfactory purchase I've ever made in terms of quality and cost and housing books. The bookcases are made of robust wood and have shown absolutely no signs of sagging due to the very heavy weight of my art books during the last 12 months since I got them. 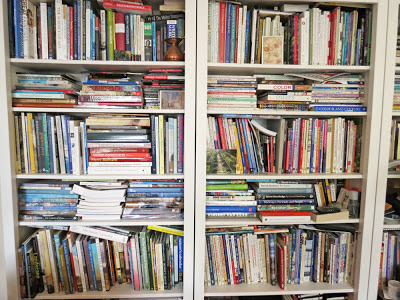 Here's a picture of the top five shelves of a couple of them. We are talking seriously heavy weight art books. I stagger just shifting a small pile of them! As you can see there is absolutely no sagging after a year doing a good job. It is worth noting that since many of books are oversized I've had to resort to lying them down on their sides so that I am can then make most effective use of the shelves and space available. It just takes a little longer to get at the one at the bottom of the pile. I'd rather do it this way than have yet another bookcase so it can look "smarter". 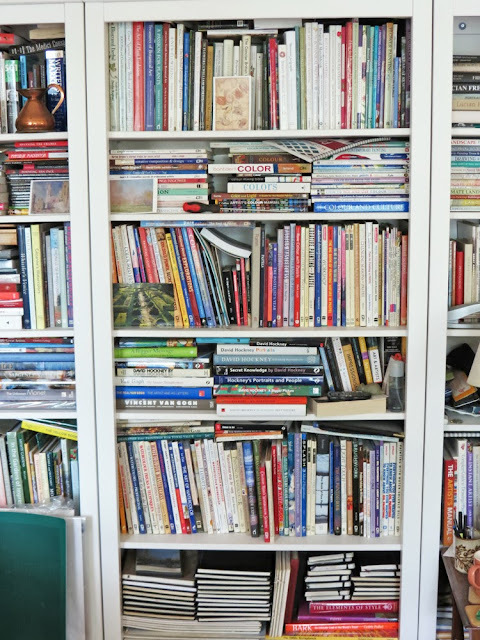 I'm a fan of shelves stuffed full of books and in case would continue to stuff books in them even if I tried being neater/smarter. You can click the images to see larger images if you'd like to try and read the titles of my books!